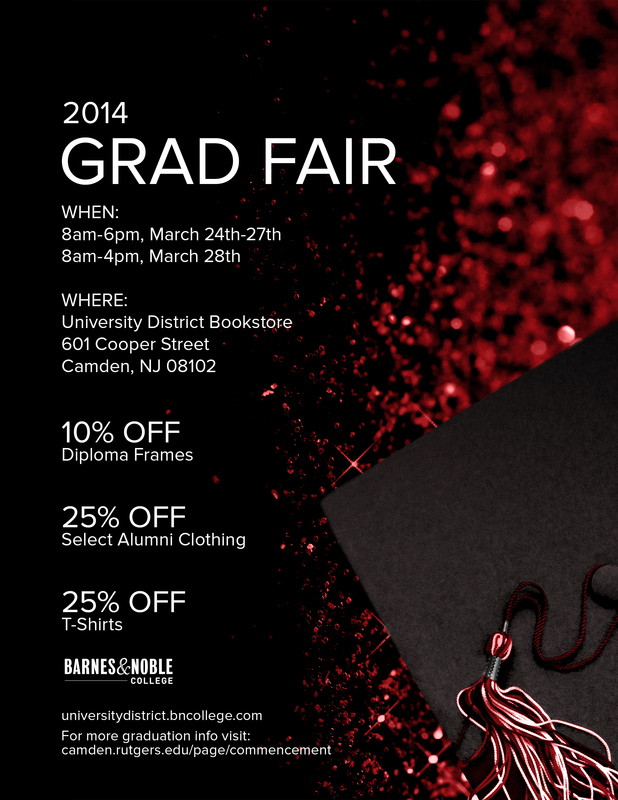 The University District Bookstore will sponsor its annual Graduation Fair from March 24th – 28th. Graduating students will have a chance to purchase their cap, gown, hood, and tassel; diploma frames, and other graduation-related merchandise. Page last updated by Faculty of Arts and Sciences at 3:58 pm March 28, 2014 . This page was printed from http://fas.camden.rutgers.edu/2014/03/24/graduation-fair-to-be-held-march-24th-28th/ at 1:05 AM Wednesday, April 24, 2019.